With our“Trade Policy and International Marketing” 2013 Conference due in a few weeks in March 2013, the year of 2012 has been a fruitful year. My blog has also been selected as the 8th best blogs by Business Professors in the world. Thank you all for your interests and attention. 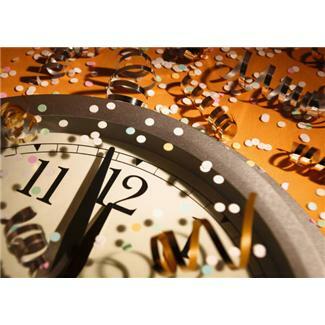 Let’s continue our journey in 2013. 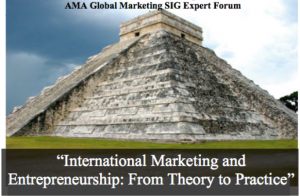 Commencing tomorrow, March 29, 2012, the AMA Global Marketing SIG Expert Forum on “International Marketing and Entrepreneurship: From Theory to Practice” will be taking place in beautiful Cancun, Mexico, co-chaired by Dr. Andreas Pinkwart and myself. Attached you will find the AMA SIG Expert Forum Program and Proceedings for the entire weekend. Enjoy and I hope to see many of you there! Do you have something to say? Apply to next year’s AMA Global Marketing Special Interest Group’s Annual Conference hosted from March 29th to April 1st, 2012 in Cancun, Mexico! CLICK HERE to read more about the conference and submission guidelines!